Crunchfish returns to AWE EU in Munich October 18-19. The two-day conference is, with 2,000 attendees, 100 speakers and 100 exhibitors the leading AR/VR conferences in Europe. Crunchfish will demonstrate the next step of interaction in AR glasses where focus is on usability. The main Crunchfish message at the conference is that the industry needs to focus more on usability and user friendliness, as they two supports the adoption of AR. Crunchfish will showcase how contextual awareness in combination with gesture control radically improves the user experience. We also launch a security solution that substantially increases the personal security and protects sensitive information when using AR glasses. So far, AR projects have focused on technology to provide the AR experience rather than methods that allow users to better engage with the content. 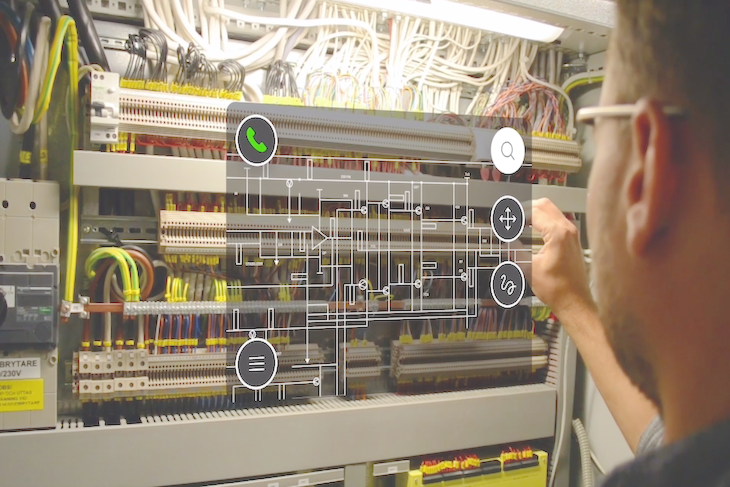 It is crucial to include the user experience to secure confidence in the AR technology and avoid project failure. Crunchfish has in its new interaction solution used UX-experience from projects during the last 8 years resulting in a cutting edge and user-friendly interaction solution for AR. Crunchfish demonstrates the importance of usability and how to dramatically improve the AR-experience. Touchless gesture interaction lets you engage with AR devices and environments in a direct way, making interactions more fluid and immersive. Crunchfish has vast experience in UX design after 8 years of gesture interaction projects. Our software is used in AR glasses to navigate content, perform tasks and interact with 3D-objects. Contextual awareness is context driven information based on proximity. It customises the interaction, ensures relevant information in every situation as well as efficient information exchange between humans, device and the surrounding. Experience the Crunchfish solution at our booth 307. One of the main safety risks when using AR glasses is the limited split vision. Crunchfish new solution informs user when exposed to danger both from fixed and moving objects as for example a moving vehicle. The new Crunchfish solution tackles the information security issues when using AR glasses by offering a smooth pinch-click solution for entering the pin code when using AR glasses.